Chris and Rose Smith had to face some difficult realizations. 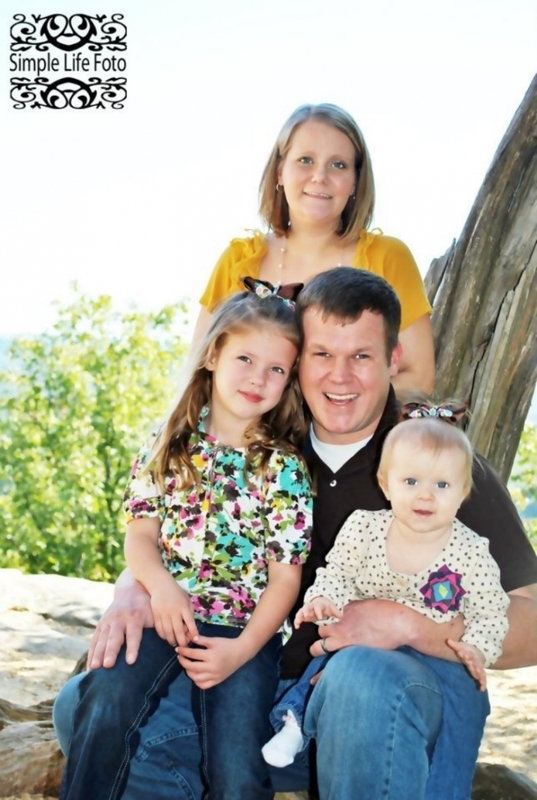 It wasn’t easy for them to accept the notion that something might be wrong with their perfect 18-month-old daughter. They sought out a children’s psychologist who suggested in an off-hand manner, that Rylan probably fell somewhere on the autism spectrum. That wasn’t a satisfactory answer for the Smiths. They wanted to know why their daughter had stopped talking altogether; why she acted differently than other kids. They needed answers to questions they didn’t know how to ask. Fate stepped in and brought a pediatrician into Rylan’s life whose background was in neurology. He took one look at her chart and asked if Rylan had been checked for Rett syndrome. 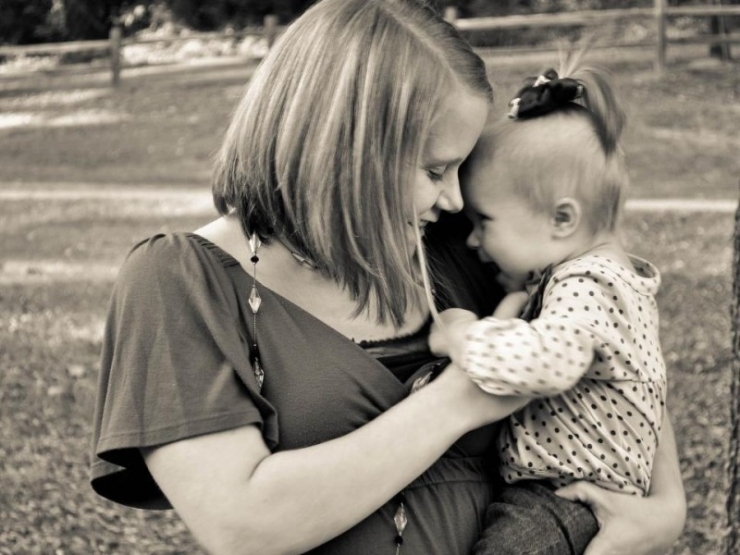 Rett syndrome is a rare genetic neurological disorder that almost exclusively affects females. 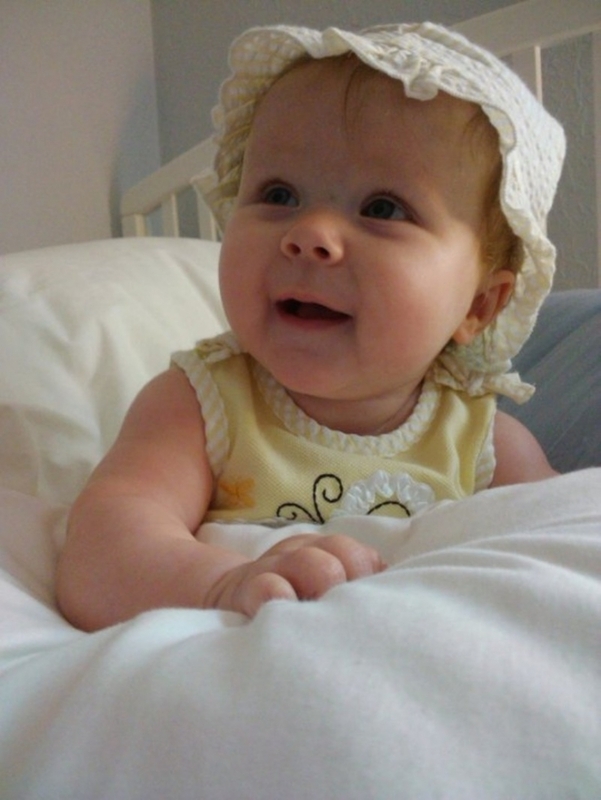 Typical features of Rett are repetitive hand movements, seizures, no verbal skills, and difficulty putting on weight. 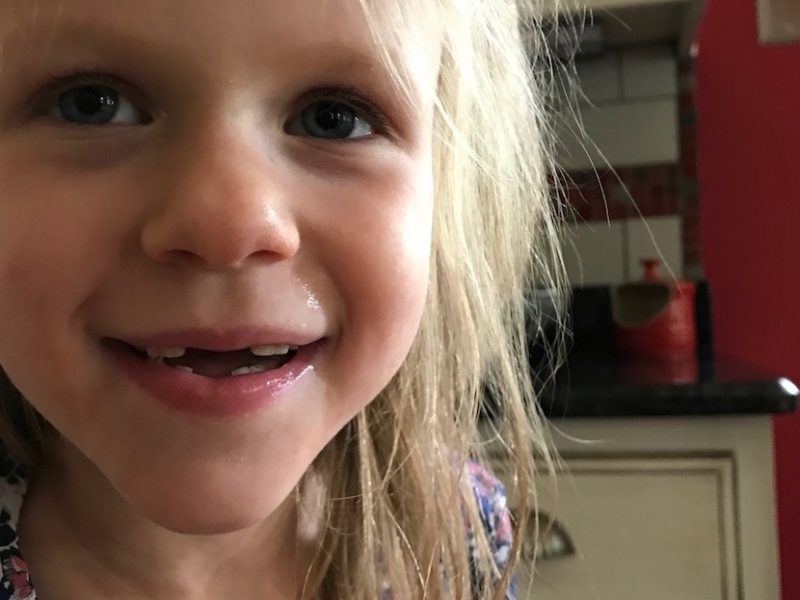 The list of symptoms read like a roster of Rylan’s “quirks.” Before the test results even came back, Chris and Rose knew in their hearts that this was what plagued their beautiful daughter. Rylan was diagnosed with Rett syndrome days before Christmas 2013. It was a devastating blow. 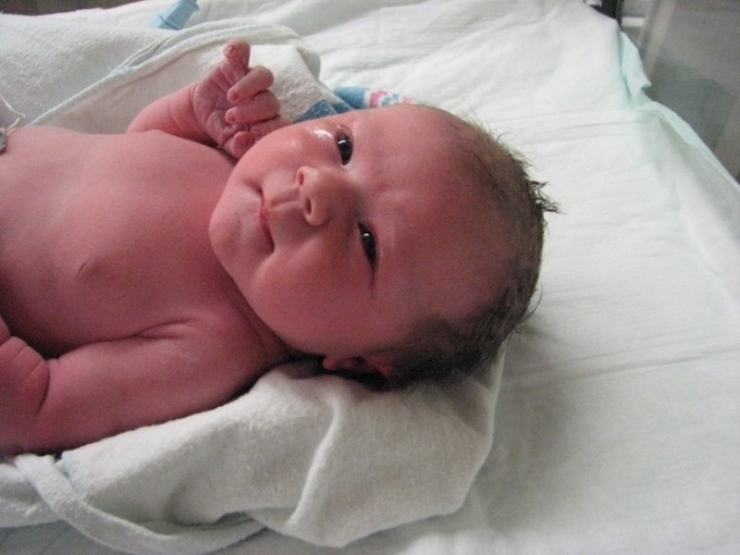 Over the holidays, the family accepted what this would mean for the future of their daughter. She would never leave home; she would never speak. She would live a life very different than the one they imagined for her. They would never hear her say “mama” or “daddy.” There were so many opportunities that were taken from their daughter before she even got a chance to fight for them. In the end, they decided to mirror their daughter’s strength and move forward without looking back. Now 4, Rylan lives a full and happy life. Her days are spent blissfully, playing with younger brother Maddox and big sister Ava. 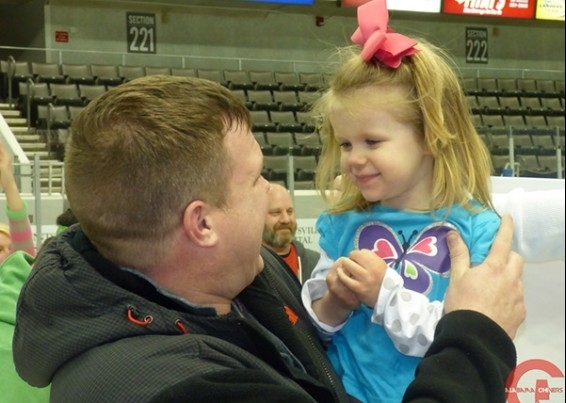 Every day she sets the example of positivity, which is how she earned the nickname “Smilin’ Rylan.” She takes everything in, and you can watch her wheels turn as she understands it. But there’s no way for her communicate anything back. “That’s the hardest part,” Chris tells us. So fate stepped in again on Rylan’s behalf. At a party that she and Chris attended, Rose met someone who took an interest in her life with a daughter affected by Rett syndrome. Rose was touched that this man, David, had such compassion for her daughter. 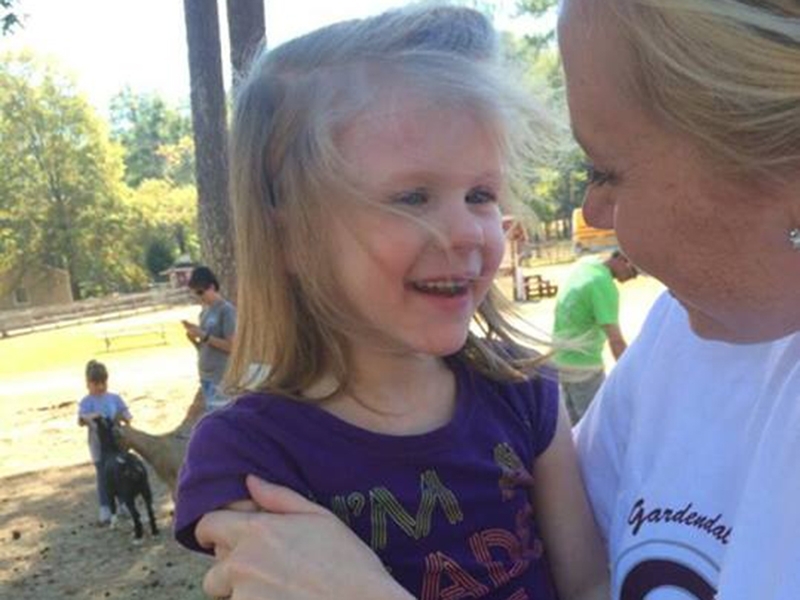 But what she didn’t know then was that David was an Alabama Chiver, and that conversation had just changed the trajectory of her daughter’s life. The next day, David posted about this little girl’s inspiring story on Facebook. Shortly after, Rose received a call from Sean who handled the meet ups for the Alabama chapter. He had seen David’s post and was so moved he wanted Rylan to be the beneficiary of their next meet up in Huntsville. They raised $8,000 for the Smith family. At the meet up Sean told Rose about Chive Charities. He suggested she look into it, and that they may be able to help Rylan. So even though it was a long shot, Chris and Rose applied. They were still reeling from the generosity of the Alabama Chivers, it seemed too good to be true that their daughter could receive more help from this one organization. Said Rose, “In my wildest dreams I never thought someone would step up like that for us.” But she was in for a surprise. Chive Charities was happy to step up with a $21,000 grant which covered the cost of the Tobii communication device, a Snug Seat wheelchair, and a Snug Seat car seat. The wheelchair was lightyears more advanced than the one Rylan was currently using, featuring angle adjustments and suspension that would keep her comfortable and safe. The car seat was to accomplish the same goal, but while she was on the road. It’s expressions like these that earned her that perfect nickname: Smilin’ Rylan. Before Maddox joined Team Smith it was just Chris and his girls. From left Rylan, Chris, Ava, and Rose. 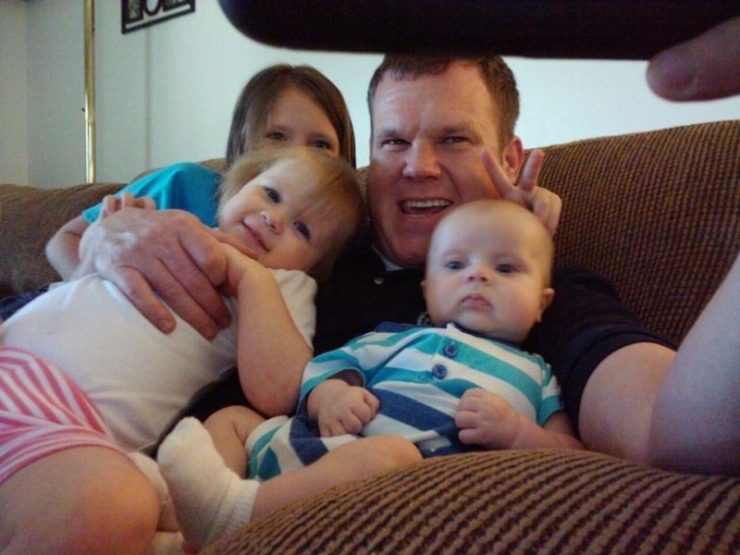 Chris and the kids crowd in for the cutest selfie ever. Maddox, in front, wasn’t even 1 and already getting teased by his big sisters. 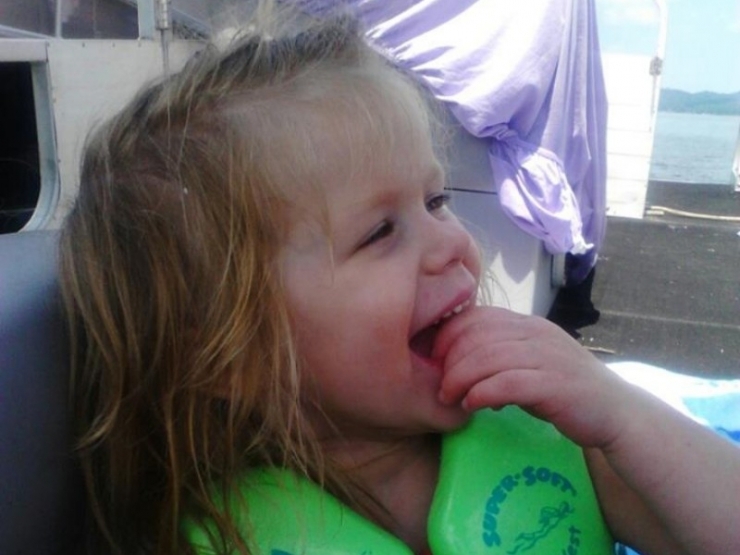 Although her hands are in her mouth “95% of the time,” they can’t hide that grin. 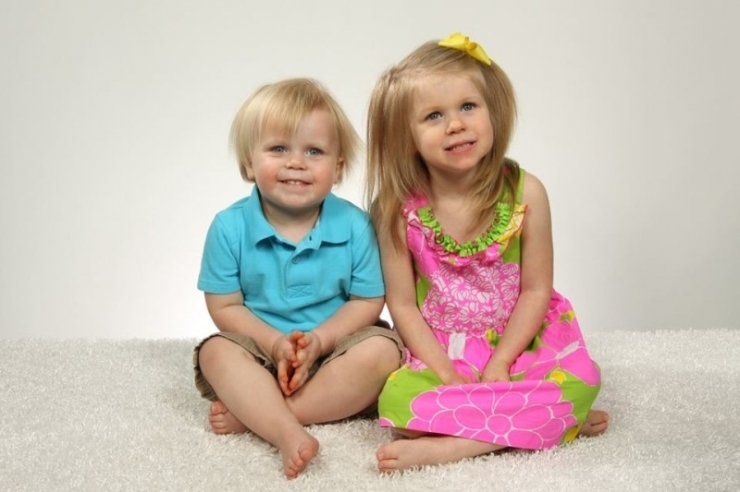 Rylan and Maddox pose for this year’s Easter photo. 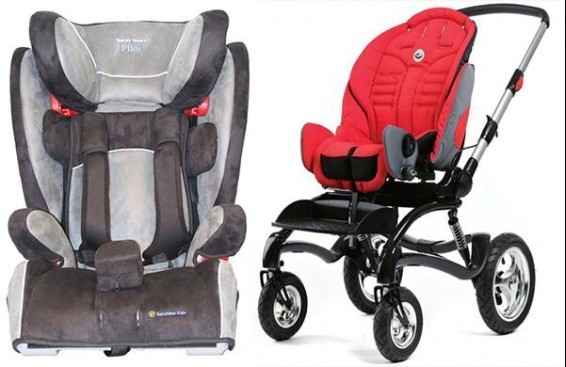 On the left, the Snug Seat car seat will ensure that Rylan is safely transported wherever she needs to go. On the right, the state-of-the-art wheelchair will allow her mobility and comfort so she can focus on more important things. 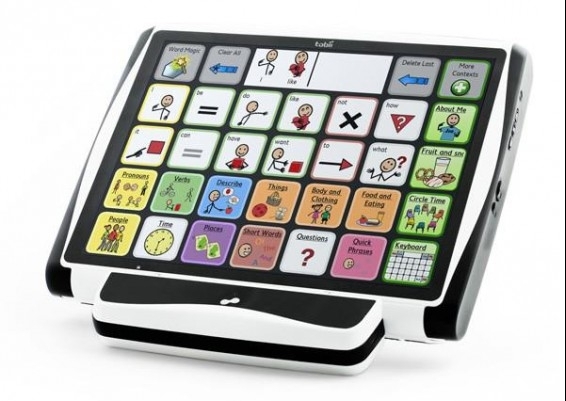 Here’s the Tobii communication device. The eye-tracking technology and calibration allows Rylan to learn communication and language skills. As she grows, the Tobii will adapt with her. It will give her a way to interact with the world via the internet and social media, allowing her to excel socially and intellectually. Even though this device is a game-changer, it will take work to learn how to use it. 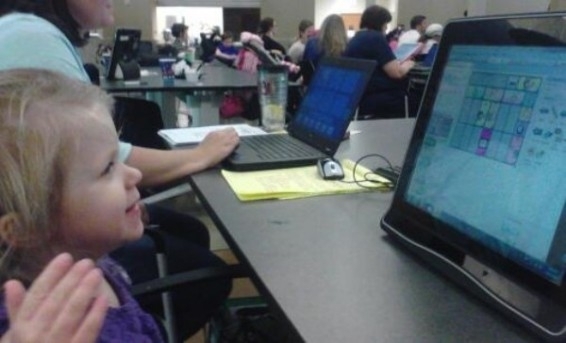 This past weekend the Smith family attended a conference that teaches both parents and users how to use a Tobii device and maximize the benefits. Here’s Chris and his girl. This candid moment was taken in Hunstville at the meet up that raised $8,000 for Rylan. It was the most they’ve ever raised at any of their meet ups. 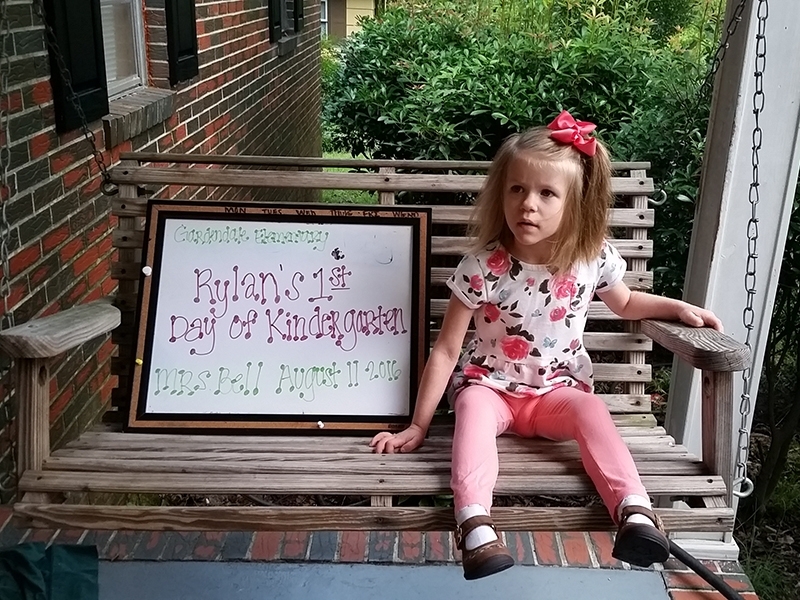 Thanks to our Alabama Chivers and their vigilance towards making a better life for this little girl, Rylan will have all the opportunities she deserves. The coincidence that Rose would strike up conversation with a compassionate stranger at a dinner party, the likelihood of someone seeing the post and knowing there was more that could be done, these events were no accident. They’re called random acts of kindness, and a series of them can forever change one person’s world. 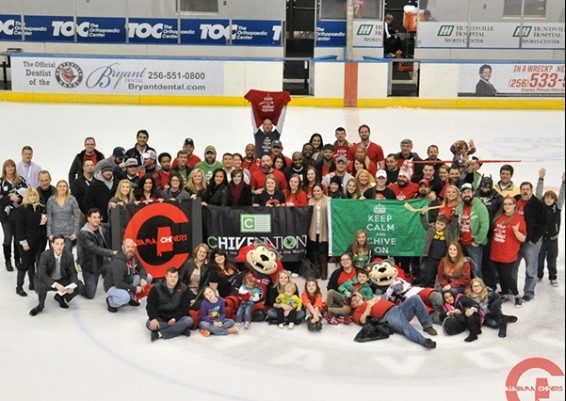 Everything Chive Charities does is made possible because of you. If you wish to donate and help us make this world 10% happier, click HERE.